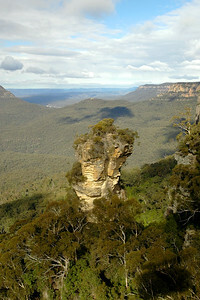 Travel article on Sydney, Australia. After a Marvelous vacation in Melbourne we landed in a city consistently voted the world’s best by most travelers – the Sensational Sydney! We were picked up from the airport by our very dear friends who hosted us during our entire stay. Associates of mine who had earlier visited Sydney had declared that this city has everything one would expect of a world-class city – full of world-renowned icons, internationally-acclaimed art performances, stylish restaurants, an effervescent night scene, chic shopping, unique landmark architecture, posh hotels and a vibrant beach culture! We set out early next morning to explore Sydney with a discerning eye to compare it with other famous cities of the world to test out our friend’s claims. The first thing that caught my eyes was the Australia’s tallest structure – the Sydney Tower. 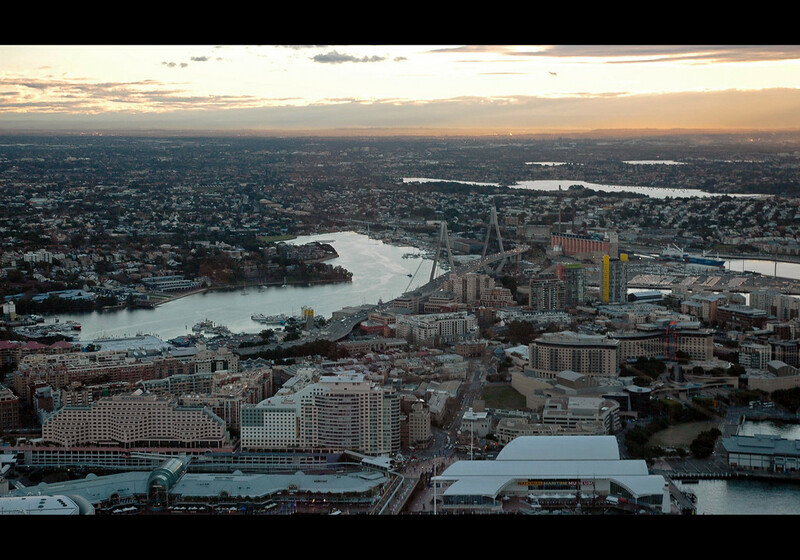 Sydney Tower took us to the highest point above Sydney for a breathtaking 360° view of the beautiful harbour city. As we got a clear day we could see everything from the golden beaches to the distant Blue Mountains! 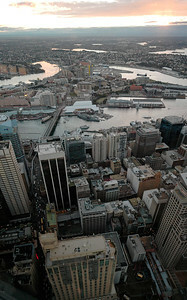 But this was just the beginning as wherever we looked there was something to see and discover at Sydney Tower. Our ticket to the top included Oz Trek, an amazing virtual reality ride across Australia with 3D holographic technology, 180-degree cinema screens, surround sound and heart-stopping real-motion seating! We were soaring above Sydney’s icons, gliding effortlessly over the Bridge, Opera House and the warm sands of Bondi beach. We could upgrade our Tower ticket to include Skywalk - Sydney’s highest outdoor adventure. Skywalk is an exhilarating walk on top of Sydney Tower, 260 metres above the harbour city - more than double the height of the Harbour Bridge! Expert guides were providing fascinating insights about Sydney as we effortlessly traversed outdoor walkways and overhanging glass platforms. After this exhilarating experience we wandered towards the CBD and turned up at the Australia’s best shopping arcades, lavish department stores and some fine restaurants. The sight of the restaurants rang the lunchtime bell in our bellies and we stopped at the Pitt Street Mall for some impromptu lunch. 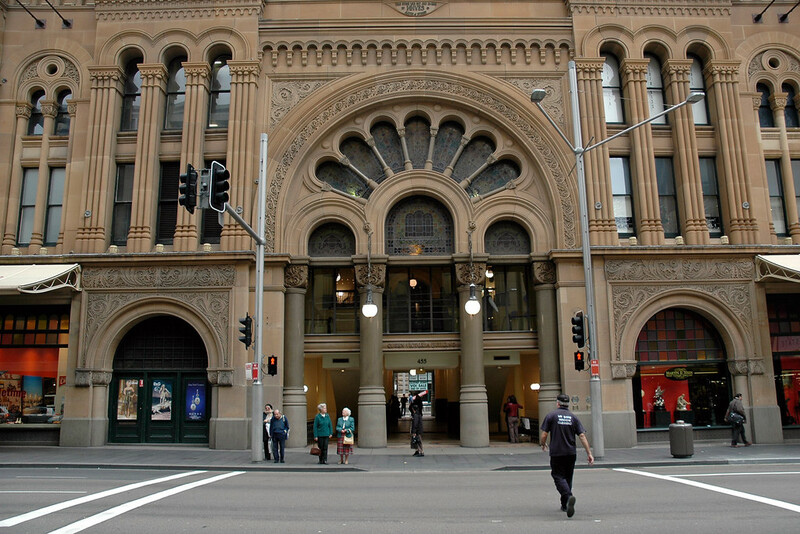 Those with ample time to spare for a relaxed lunch get to select from a range of international cuisine on offer at restaurants below the MLC Centre, Pitt Street Mall and opposite Sydney Town Hall as well. 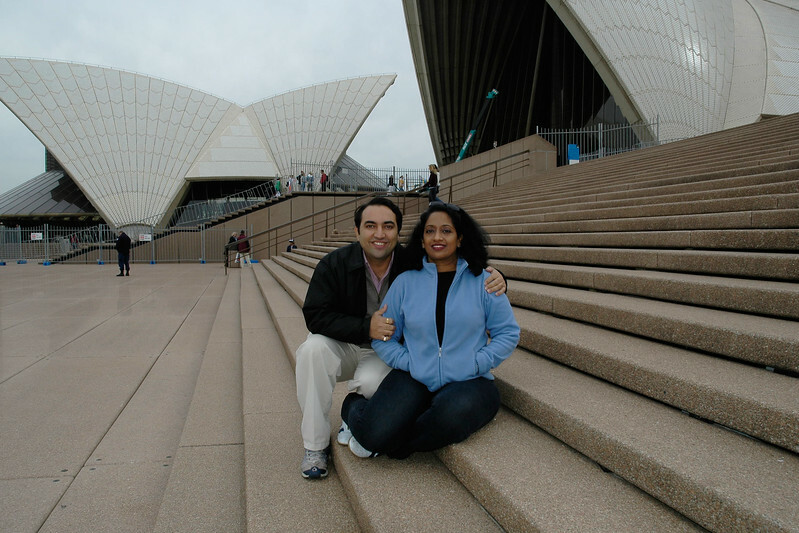 One of the things that I liked about Sydney was that most of the attractions, restaurants and beaches one wants to visit, hug the shoreline of Sydney Harbor. The city fans out from the focal point of Circular Quay. 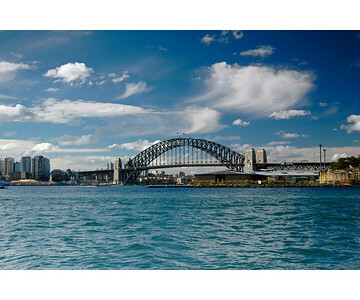 This transport hub is within walking distance of the city’s star attractions – the Harbour Bridge and the Sydney Opera House. 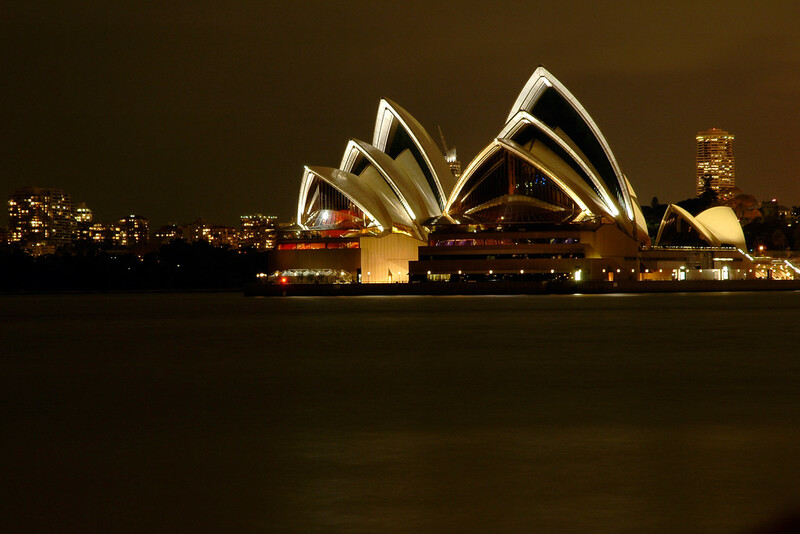 Around Sundown, walking around the sparkling waters of Sydney Harbour we reached the iconic architectural jewel of this city - Sydney Opera House, the edifice that use to appear in my mind each time I thought of Sydney. This gorgeous architectural feat is now not only one of the most recognised buildings in the world but also one of the world’s busiest performing arts centres. One must watch a ballet or an opera at this Opera House and do a backstage tour that includes an insider’s view of the Concert Hall, the stars’ dressing rooms. If time permits one may enjoy lunch or dinner at the outdoor Opera Bar, perfect for a sublime Sydney experience of harbour views, city skyline and delicious food. Moreover, if in a mood to splurge, one can dine luxuriously beneath the ivory sails at the elegant Guillaume at Bennelong where modern Australian cuisine is served with a touch of classical French style. To prolong the indulgence one may choose to Shop for international designer labels at brand boutiques along Elizabeth and Castlereagh streets or pop into the stylish David Jones or Myer Sydney department stores for the latest in Australian and international fashion. 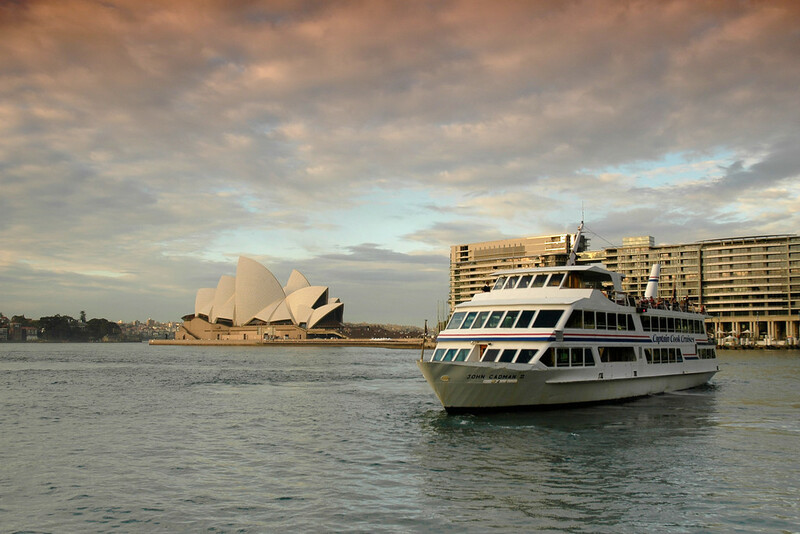 To capture the best images of the Opera House, we hopped on the Manly ferry from Circular Quay and enjoyed cruising around the Darling Harbour. Later in the afternoon we strolled past the Opera House to the Royal Botanic Gardens, full of exotic plants and through Hyde Park lined with fig trees. The joy ride on a monorail for an overview of Darling Harbour was thrilling event of the evening. Each time we caught a glimpse of the harbor we were drawn to it like a magnet. 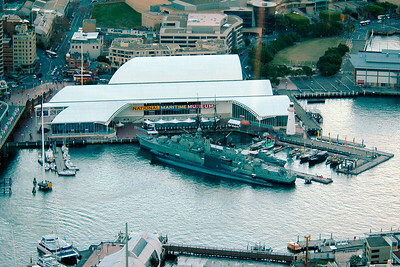 A lively waterfront precinct, Darling Harbour throbs with activity 24 hours. The area adjacent to the harbor is a joy to walk around with landscaped paths linking interesting places like the Sydney Aquarium, containing a massive 2.6-million-liter Great Barrier Reef exhibit and the Australian National Maritime Museum that has historic ships. We came across a plethora of waterfront promenades with alfresco cafés and sleek dining lounges. 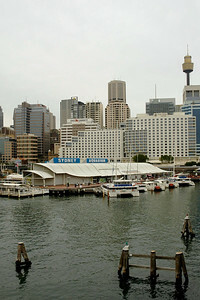 Across the water we could see the Harbour side Shopping Centre, a dynamic mix of shops and eateries. 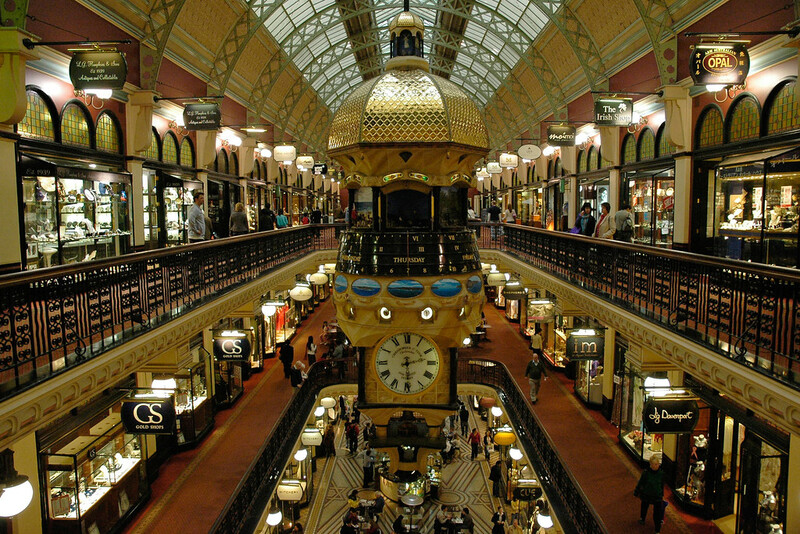 My favorite hangout was the architecturally splendid Queen Victoria Building (QVB) with over 180 of Sydney's finest shops, cafes and restaurants. On the first look, this grand building appeared like a Cathedral from outside. We were spell bound on entering the Grand Walk on the ground floor, with beautiful tiled arches and galleries overhead, featuring renowned shops and coffee bars. 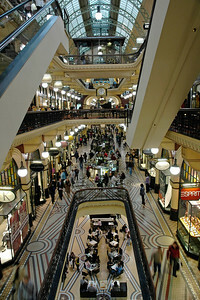 The ornate galleries of on level one houses speciality boutiques selling international and Australian designs, jewellery boutiques and cafés. The second floor sits under the glass barrelled roof with an amazing array of antique, art, duty free, opal, Australian craft shops. One must not miss the absolutely attractive Royal Clock, a unique, 6 metres long clock built in the shape of Castle by the Queen's clockmaker of 'Big Ben' in London. Next, the Victoria Walk has a wax model of Queen Victoria dressed in full coronation regalia and sitting on an Ornate Chair. Copies of Royal paintings as well as a handwritten letter by Queen Elizabeth to the people of Sydney are also on display. A few steps away is the life size Jade Wedding Carriage - over 1 ton of intricately carved jade, the only one of its kind in the world, two life like models wearing traditional Chinese wedding robes, dated 1840 - of the Ching Dynasty. 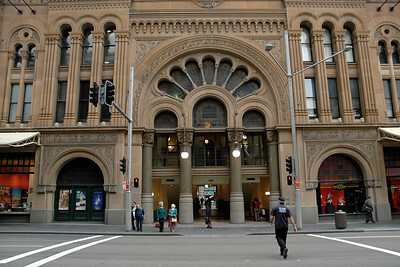 It's easy to get around downtown Sydney on foot. Public buses, monorails, ferries and trains offer convenient and affordable transportation to almost every other place. 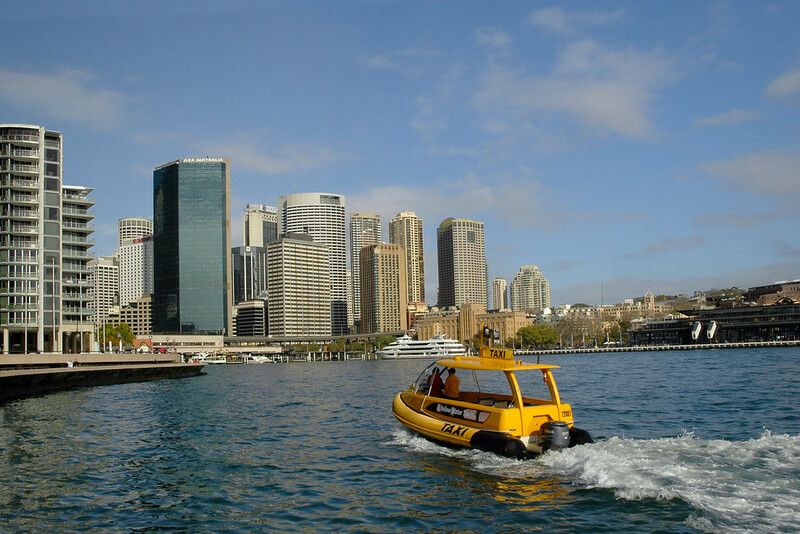 Sydney's yellow and green public ferries are by far the most scenic and often the most convenient way to get between downtown and shores of Sydney Harbor such as Manly or Sydney Olympic Park. 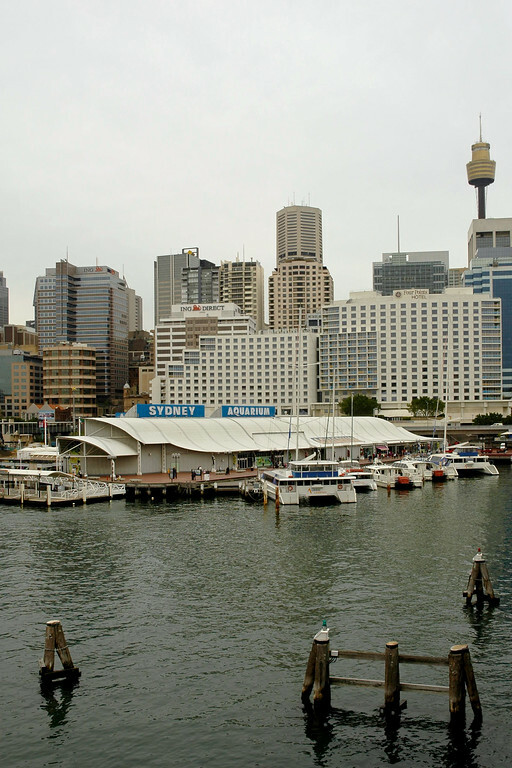 In downtown Sydney, all ferries depart from wharves on Circular Quay. Using a rental car to get around is a possibility but not recommended as street parking is hard to come by and rates at public lots can be expensive. Once again if one is on a long vacation in Sydney there's no shortage of active pursuits for any age group. It’s an outdoor city at heart with beautiful weather and a harbor as its best assets. One can stroll though Sydney's pedestrian arcades and gardens, sail or cruise around the harbor, relax on the beach. 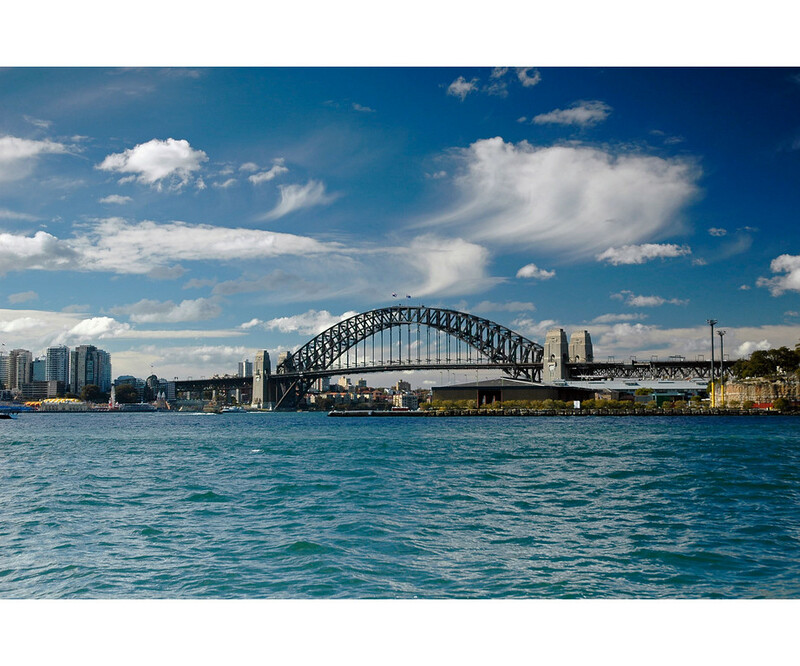 The more adventurous ones can try jet-boating, surfing or climbing to the top of the Sydney Bridge or Sydney Tower. 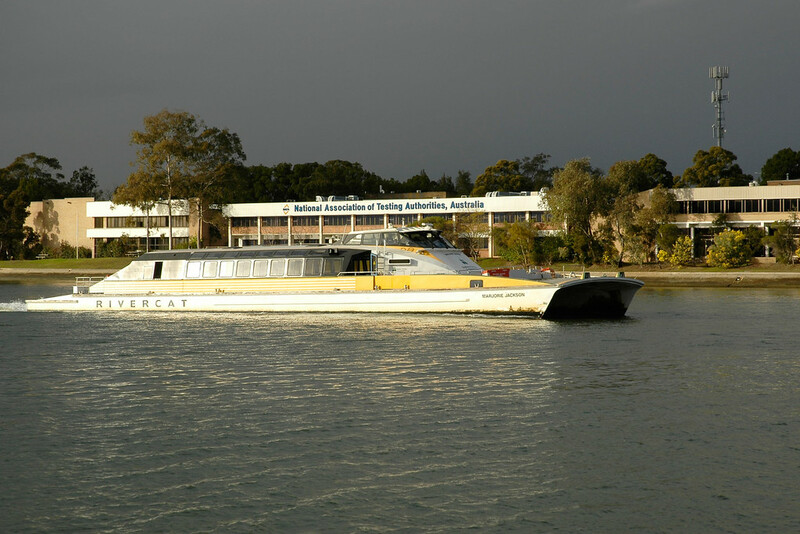 For new experiences on the water, one must try sailing by Sail or jet-boating with Sydney Jet. When I looked at the Sydney Harbour Bridge from a distance it reminded me of an old coat hanger, although I’ve memories of its spectacular New Years’ Eve fireworks as seen on the TV. 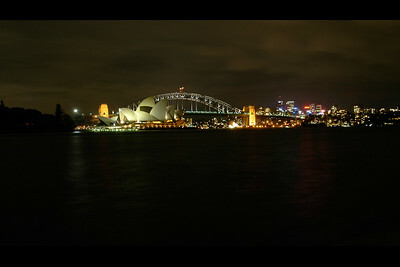 Sydney offers an opportunity to do the Bridge Climb and the Discovery Climb. The Discovery Climb gives an insider’s view of the structure of the bridge as one climbs one’s way to the summit. But we found it ridiculously priced at around $200+ and time consuming as it takes 4 hours. Instead from the nearby Circular Quay, we caught a Rivercat boat that passes directly beneath this elegant structure and loved the experience. 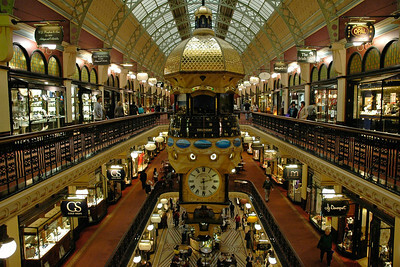 Sydney is not just all about multi-ethnic city life. Many tourists venture out and discover the treasure trove of Sydney’s beautiful countryside that is just a short drive from the city centre. 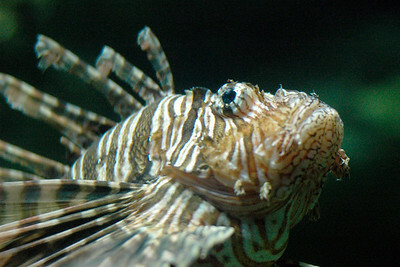 One among these is Manly, located on the northeastern shore of Sydney Harbor. The suburb of Manly has the feel of a seaside resort town, although it's only seven miles from downtown. The ferry ride across the harbor from Circular Quay is more than worth the fare. 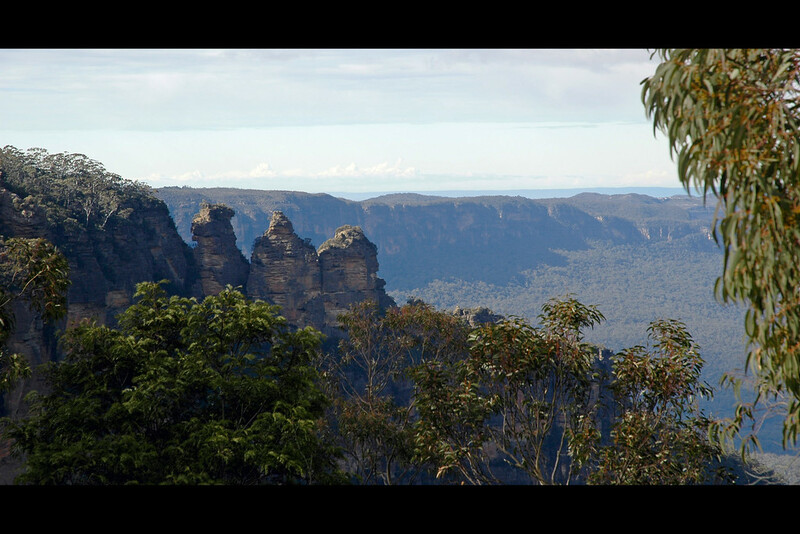 Our favorite was the Blue Mountains, famous for its one million hectares of World Heritage-listed landscape just 90 minutes’ drive from Sydney. I can never forget the refreshing and the rejuvenating blue-hazed hills with dramatic cliffs and deep canyons of the Blue Mountains. Not only is the bushwalking in its wilderness offer a great experience, but we could see that the region is also famous for its heritage guesthouses and luxurious resorts offering spas and nature therapies. 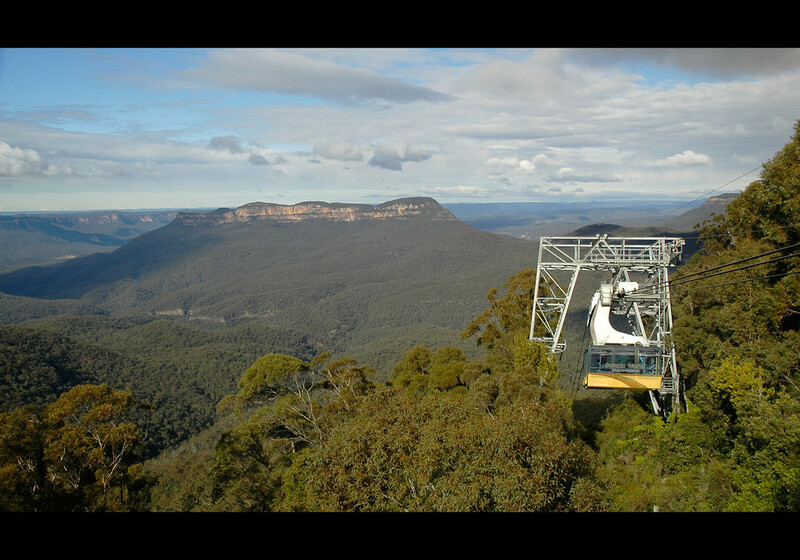 We had just enough time to enjoy a great coffee at one of the cozy cafés near Katoomba’s Scenic Skywalk, a glass-bottomed carriage that glides 270 m above the valley and watched, The Zig Zag Railway, the vintage steam train that runs from Bell to Lithgow. There's so much to see and do in the city and the surrounding areas that most visitors spend at least two weeks. One hour’s drive south of Sydney took us to Wollongong and a ribbon of beautiful beaches famous for its great surfing and Sea Cliff Bridge. The small coastal villages around Wollongong have numerous excellent surfing beaches. The drive was scenic on the Grand Pacific Drive and also the walk around Mt Keira on a 5.5-km trail that passes through rainforest and eucalypt forest was absolutely refreshing. We paused to get a fabulous panoramic view from Bald Hill but the most thrilling experience of the day was the walk over the Sea Cliff Bridge. 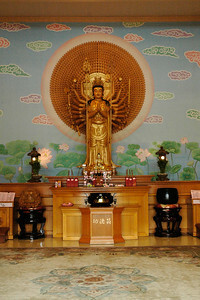 How could I miss the Nan Tien Temple at Wollongong, the largest Buddhist temple in the southern hemisphere. A dear friend of mine drove us about 80 km south of Sydney to this temple which is also one of Wollongong's major tourist attractions that conducts regular weekend retreats for visitors interested in Buddhism. It’s has a very serene, calm and mystical ambiance. 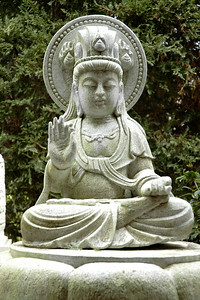 We relished the Buddhist vegetarian lunch served there which is almost impossible to get any where in the city. 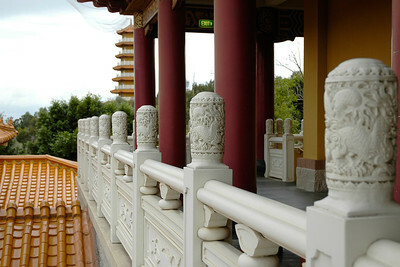 Very appropriately the temple has been named Nan Tien in Chinese, meaning the "southern paradise". 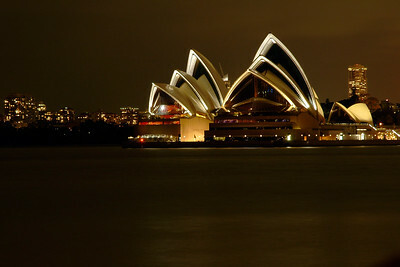 •	Located "Down Under" the equator in the Southern Hemisphere, Sydney's seasons run the opposite of India. Summer (December through March) is the warmest time of the year. The spring (September to December) is both drier and sunnier than the summer and fall. Winter (June to September) is the coolest time of year. To add some additional value to one’s visit one can plan during some popular festivals like the Sydney Festival in January, Sydney Mardi Gras in February and March, Sydney Royal Easter Show in April, Sydney Film Festival in June, Sculpture by the Sea in November and famed New Year's Eve. 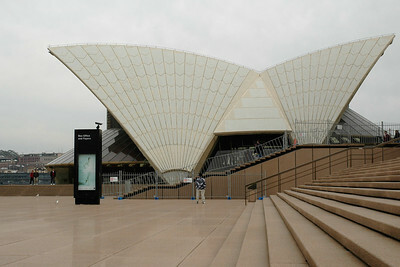 Close to Opera House is the free Museum of Contemporary Art, which features a number of Aboriginal art collections. Art lovers can also check out the, Australian Museum, which showcases important Australian archeological and anthropological artifacts. •	Discounted combination tickets can be bought if one plans to see two or more of attractions like the Sydney Aquarium, Sydney Wildlife World, Sydney Tower and Oz Trek. Another concessional card, the Smart Visit card, entitles one to free admission or discounts at more than 40 popular attractions. Cards are good for one to seven days and cover Sydney public transportation as well. 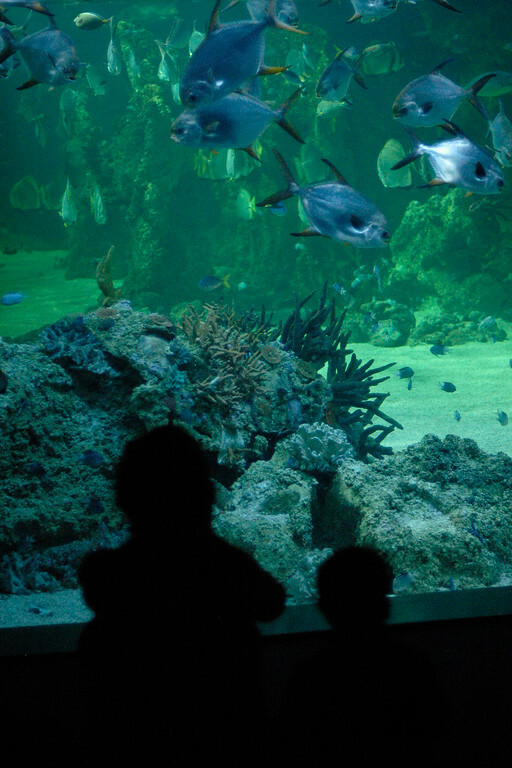 It’s a good idea to book tickets at a discount for the Sydney Opera house tour and the Sydney Aquarium. Text and all pictures copyright Suchit Nanda. All images shot with Nikon D70 DSLR camera with lens: Nikkor lens such as Nikkor 18-70mm f/3.5-4.5G ED IF AF-S DX, Nikon 50 mm f/1.8 and Sigma 70-300 f/4-5.6 APO Macro Super Etc. This article has been printed in Asian Photography Magazine Arpil 2009 issue and can be seen here.